When introducing a game to people, it’s often hard to know where to start. Do you talk about the gameplay or the story? In general, if there’s a deep story and great writing, you focus on the story. If the gameplay is trying to do something new and different, you focus on that. In our case, we’ve strived to do both. 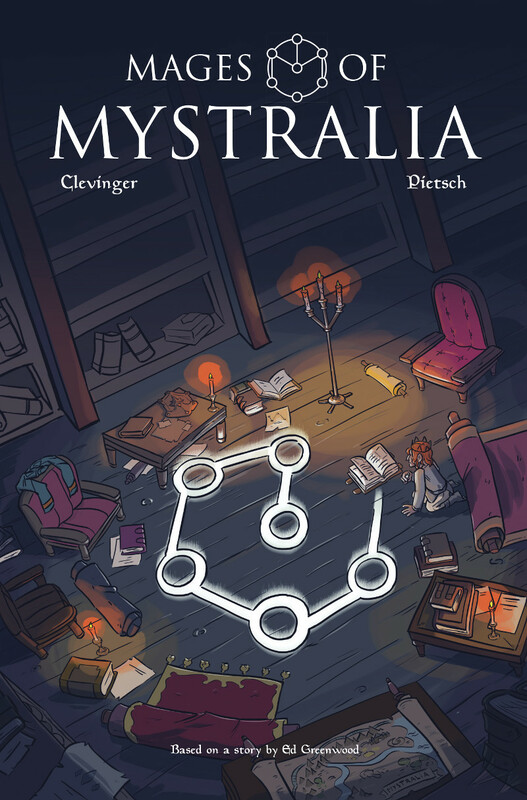 We’ll go into a bunch more detail about the spell creation system later, but we wanted to give players a sense of the Mystralia universe in advance so they know a bit about the lore and the backstory. As you may have heard, Ed Greenwood (creator of the Forgotten Realms world of D&D and dozens of fantasy novels) wrote the main storyline. 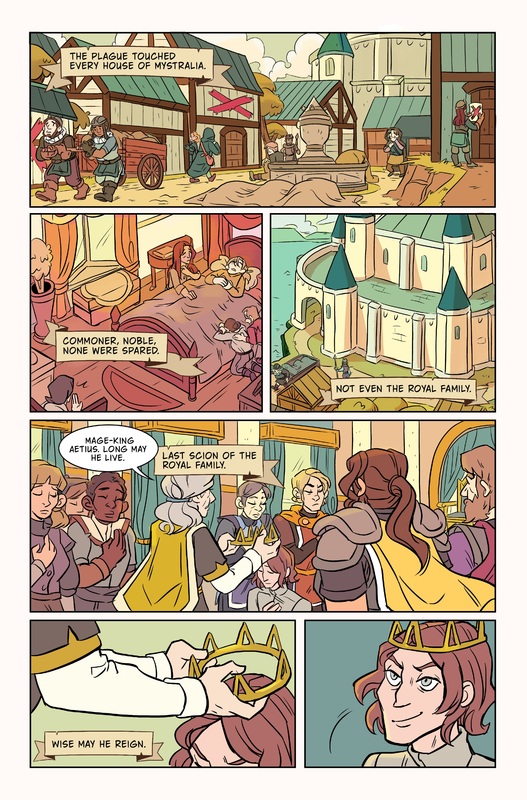 We decided to share the entire backstory (which is only touched upon briefly in the game) he created and give people a chance to immerse themselves in that world. 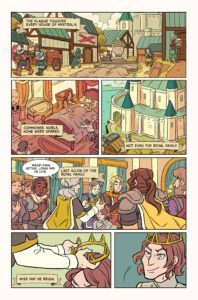 We thought to ourselves that a twice-weekly webcomic would be the perfect format to tell that story in, so we worked with two of our favorite webcomic creators to bring this to life: Brian Clevinger (Atomic Robo, 8-Bit Theater) is the writer, and Carey Pietsch (Lumberjanes, Adventure Time) is the artist. If this is the first you’ve heard of it, you should start at the beginning. 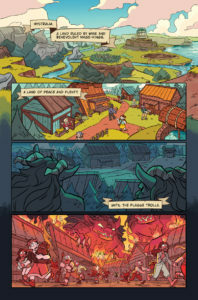 Once you’re caught up, check back at MagesOfMystralia.com/comic every Tuesday and Thursday for updates. 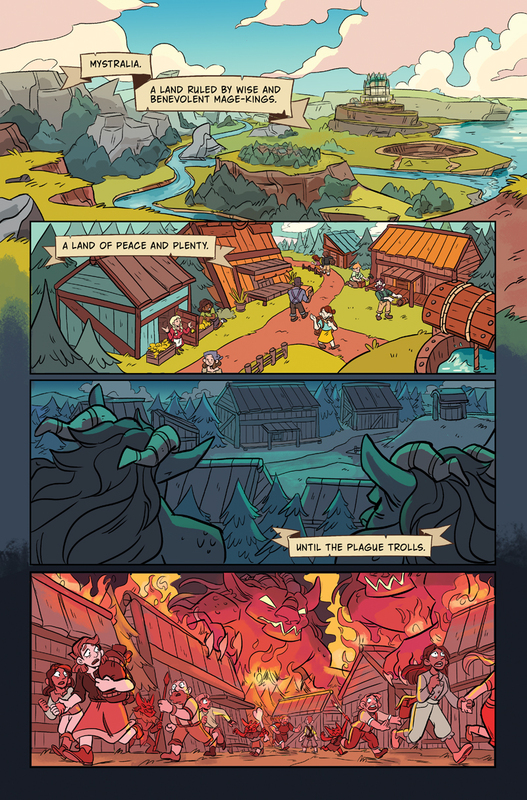 We announced this webcomic at PAX and printed up 1000 physical copies for attendees. They’re all gone now since they were scooped up pretty quickly!